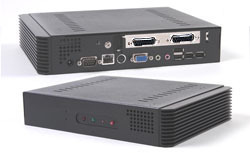 REPLACE BY IBT-DVR368 or IBT-DVR188 using Atom Technologies. Line-out, Speaker and Mic IN. USB or FIREWIRE external box.